During my first rehearsal ever with the Marist College Band my freshman class was told that we were “special.” Our band director, Arthur B. Himmelberger, informed us that in three and a half years, when we were seniors, we would be hosting the Association of Concert Bands National Convention at Marist College. That was so far in the future in the time that we were all far too overwhelmed with being in college to really understand what that meant. Well, three years later during the week of April 24, 2012 we successfully hosted one of the largest projects our band has ever undertaken, and the driving forces behind the entire event were the Kappa Upsilon Chapter of Kappa Kappa Psi and the Iota Alpha Chapter of Tau Beta Sigma. 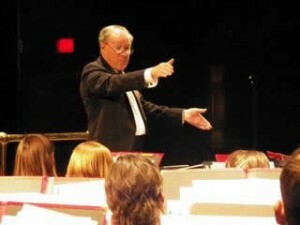 The Association of Concert Bands holds an annual convention, and my first experience at an ACB Convention was in Plano, Texas in the Spring of 2010. I had just become a Brother, and it was there that I realized how much music can bring people of all ages together. I was a member of the ACB Convention Band, where I sat next to an inspirational (and witty) 90-year-old clarinet-playing Vinny. The attendees from Marist College were young, but we mixed in well with all the conventioneers who were young-at-heart! We attended the “How to Host an ACB Convention” workshop since our convention was two years away. It would be the first time that the hosting organization was going to be a college band, rather than an adult community band, and we wanted to be ready. Hosting a convention is a large undertaking, but nothing is impossible. With our Director of Bands as the President-Elect of ACB, Kappa Upsilon’s Chapter Sponsor as the Operations Manager of our music department, a Brother as the Convention Chairperson, eight Brothers and Sisters as committee chairpersons, eight Brothers as point of contacts for attending bands, and all other Brothers and Sisters as parts of committees and crews, the convention was both fun and a major success. The convention embraced all aspects of serving bands by serving our own college band, serving community bands, creating social events with conventioneers, establishing ways to raise funds, and inviting our alumni and chapters across the Northeast District to attend. It included ten concert hours performed by ten bands throughout the Northeast region. The Marist College Community Symphonic Band was honored to perform with guest conductors Lt. Col. Alan Bonner and Col. Arnald Gabriel, as well as guest clarinet soloist Dennis Zeisler. During the week Brothers and Sisters fully dedicated themselves to the event and worked in rotating shifts from 7am until after midnight each day. Responsibilities included working the registration table, setting up stages for rehearsals and performances, greeting conventioneers prior to concerts, and providing hospitality needs to attendees. Of course, Vinny was also at this year’s convention and he comically appreciated escorts from Brothers up and down the stage stairs. As I was told by a conventioneer, the camaraderie of the week set this convention apart from others. Now that I’m graduating, I’ve been wondering how I can continue to be involved in music. Being part of two past ACB conventions has inspired me to become a frequent attendee of conventions across the country. I want to be the “Vinny” of the clarinet section in sixty (ok, seventy!) years. For any Brother or Sister, especially those in the San Ramon, California area (where the ACB convention will take place next year), I strongly encourage you to become part of ACB, or any other organization that allows you to keep music in your life after graduation. Where can we find the best people to become the leaders of band organizations in the future? Right here – from the Brothers of Kappa Kappa Psi and the Sisters of Tau Beta Sigma. You're an Alumnus... Now What? Next story Where is Your National Shrine?